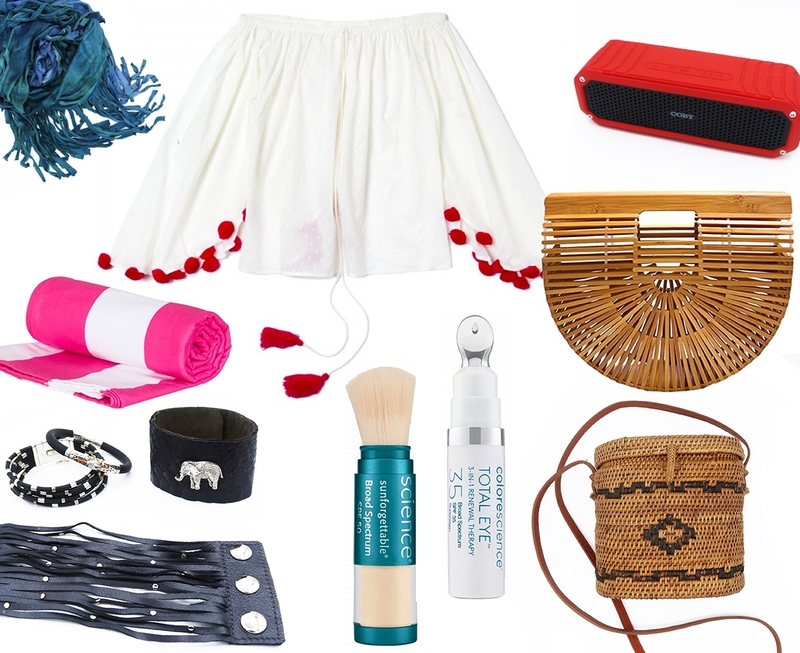 It's officially Spring-time, so here are your must-haves! Whether you're traveling for your Spring break vacay or just getting ready early for Summer, I know you're going to love these easy breezy (and very trendy) accessories. Can't see the video above? WATCH IT HERE! My recommendation is to pack well in advance for your upcoming trip so that you have some time to pack smarter. Remember, your goal is to pack LIGHT! I had so much fun presenting these must-haves on the Suncoast View show with our amazing panel of hosts. As you can see, we crack each other up! In case you've noticed, I've been traveling to Sarasota, Florida, a lot lately to appear on Suncoast Live. I really love the format of this show and it honestly makes me so happy to be on it. The hosts are wonderful and the lifestyle topics they cover are right on beat with the things I love to talk about. Please let me know what you'd like to see me cover next! If you've never visited Sarasota before, put it on your list! As I've been traveling there more often, I've had the chance to experience their many attractions. Sarasota is world famous for being the home of the Ringling Brothers Circus. Although the circus is no longer running, the history of the family has been preserved with The Ringling. There's so much to it! It's an fantastic art museum, sprawling garden, theater and education center. Check me out in the center of the art museum courtyard. They even have a rose garden and miniature circus exhibit. Go on a beautiful, sunny day and wear comfortable walking shoes. I did it in heels and regretted that decision. The beaches and pools of Sarasota are phenomenal too! I highly recommend Lido Key Beach and Siesta Key Beach. The vibe is so different in each spot but totally worth checking them both out! Lido Key is quieter and more natural while Siesta Key has an Americana beach vibe and lots of haunts to party it up. If you go to Lido Key, make sure to lunch, shop and walk around St. Armands Circle. Wishing you an incredible Spring season! Please let me know which accessories from the show are your favorites and do share some new ones with me.